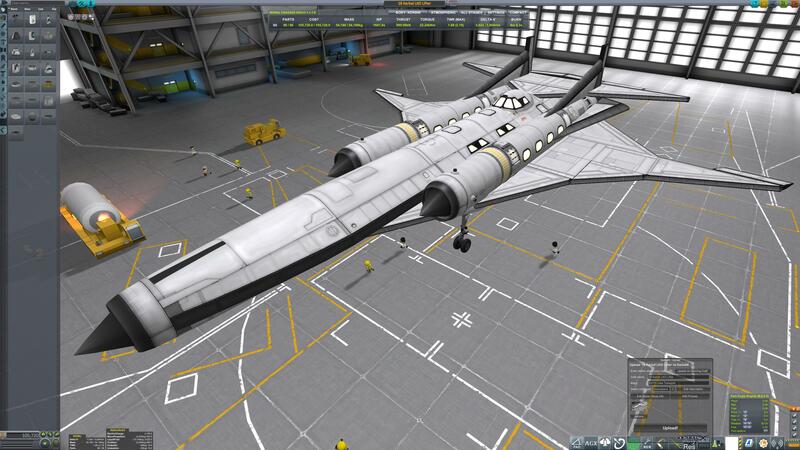 Craft capable of lifting 16 Kerbals + 2 Crew up to a 100k LKO orbit with over 400dV Orbital Maneuverability + Monoprop. Very Easy to fly, attain 500m/s at sea level then pull up to 12 degrees, at 10kM engage nuclear engines, when thrust drops enable rocket boosters and allow to burn out, upon rocket burnout go fullt prograde and continue burn until desired altitide achieved then circularize. A stock aircraft called 18 Kerbal LKO Lifter. Built with 96 of the finest parts, its root part is mk2Cockpit.Inline.